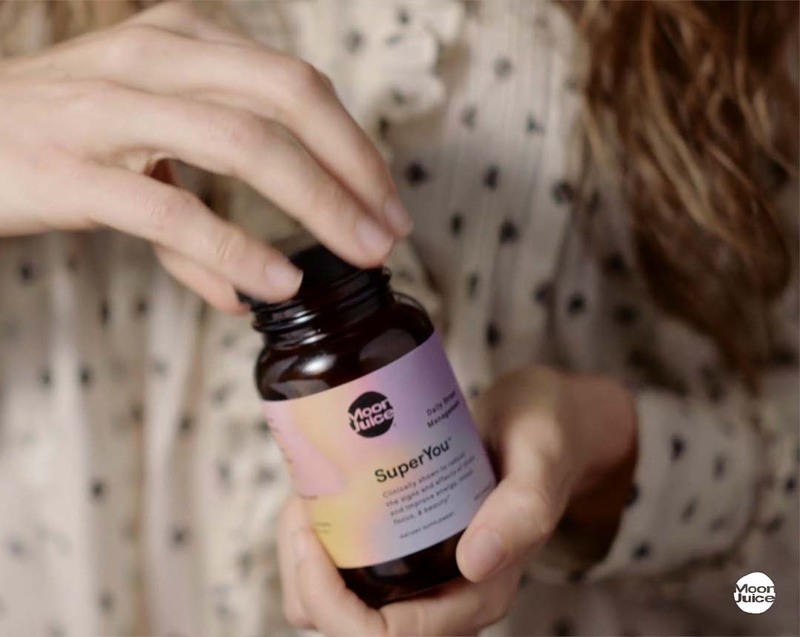 SuperYou is a natural, plant-sourced stress relief with ingredients shown to help the body cope with stress, reduce physical, mental and emotional fatigue and boost energy and mood. Shatavari is traditionally used to support hormonal balance and promotes reproductive health and enhance drive*. Organic Amla helps to protect skin from oxidative stress and preserve natural collagen*. Chronic stress impacts everything from our energy, to our sleep, skin, and libido. These potent allies work by helping regulate cortisol (the stress-hormone) and balancing the stress response system to improve mood, boost immunity, reduce fatigue, and so much more. Founded, by Amanda Chantal Bacon, a world-traveling chef, mama, sustainable lifestyle leader, and passionate food educator, Moon Juice is a holistic lifestyle brand that offers extremely pure and potent adaptogenic supplements and skincare products that aim to destress and transform the mind and body. MoonJuice customers visit the brand's Venice, CA store for daily nourishment, beauty foods, and high-powered natural remedies that include shakes, juices and snacks in addition to supplements and skincare products.